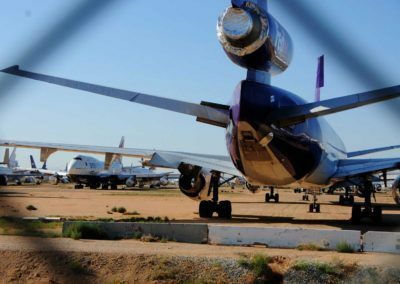 Victorville Airport Graveyard Hike Overview: The Southern California Logistics Airport also known as the Victorville Airport is home to an airport graveyard that is a delight for photographers and adventures. 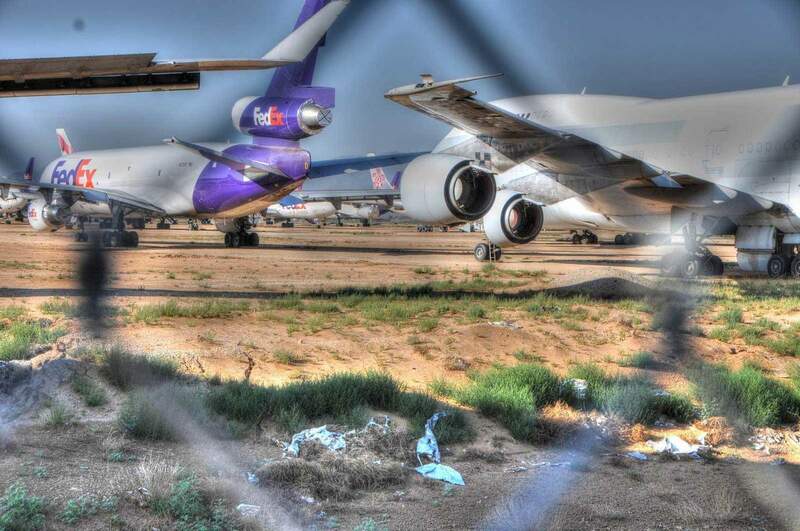 Although restricted to public access, there are vantage points near the airport that allow for unique photographs of abandoned aircraft, including 747s. 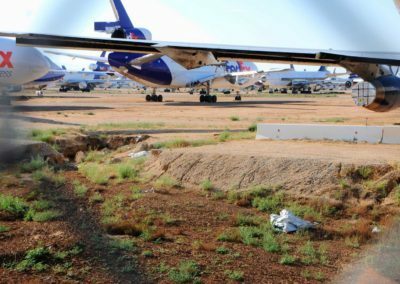 The Southern California Logistics Airport was originally constructed in 1941 for the Air Force and named the George Air Force Base. 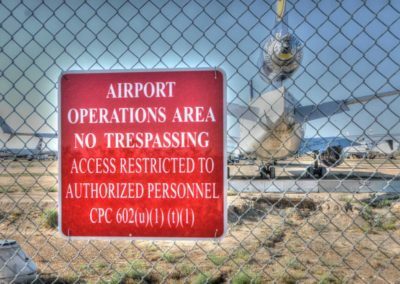 The airport operated for the armed services until it was closed in 1992. 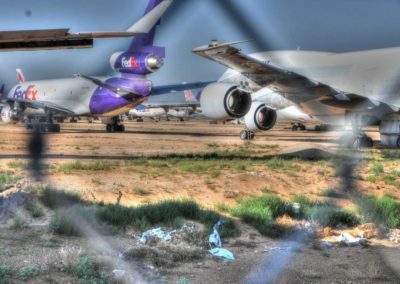 Afterwards, the airport’s name was changed to the Southern California Logistics Airport and primarily used for commercial transportation of goods. 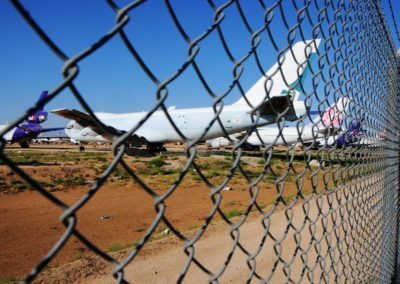 The airport does not operate for public use, except for charter flights. 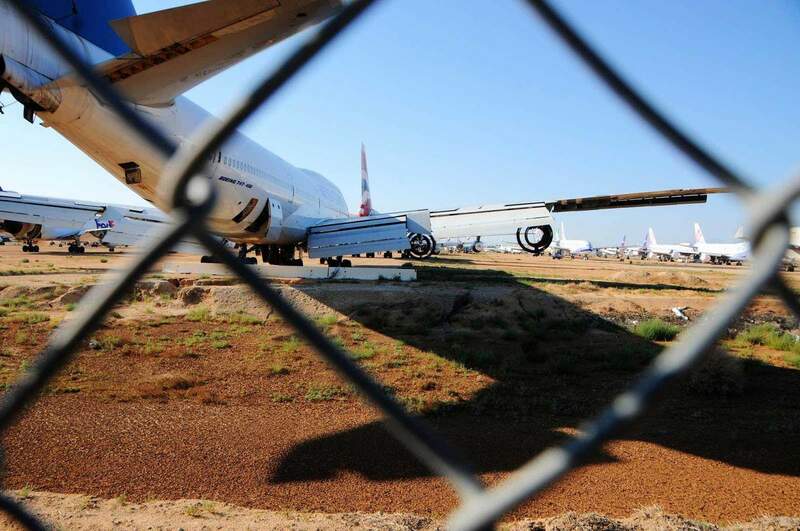 The hike area is restricted around the airport, but are are some dirt trails that extend of Highway 395 that provide a distant view of the airplane graveyard. 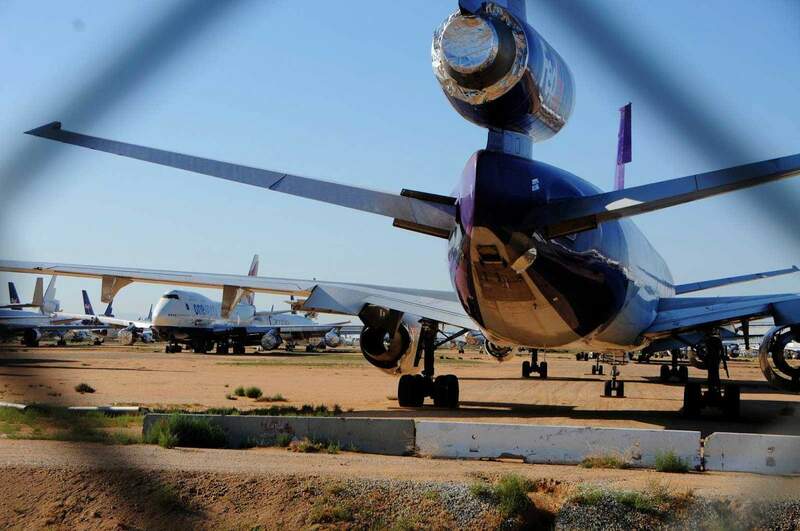 Depending on your vantage point, you can enjoy views of features abandoned aircraft from FedEx, American Airlines, Cathay Promiment and several other prominent international carriers. 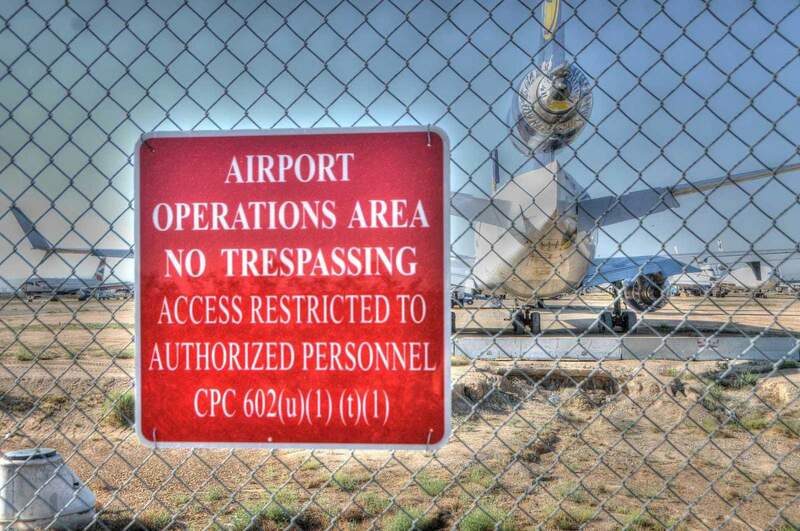 Use caution when entering this area and pay attention to the signage, which marks the accessible areas. 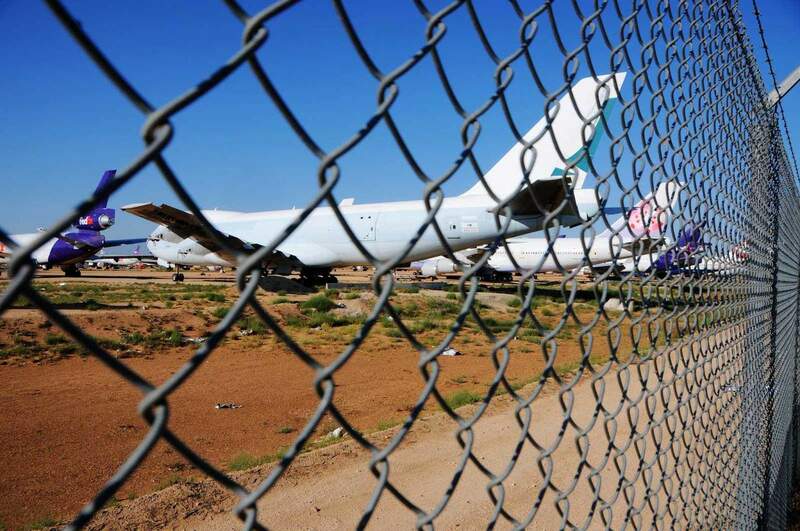 Spring/Fall: Victorville can be an extremely hot area and the winter may bring icy and difficult road conditions, therefore the Go Hike It team recommends visiting this Victorville hiking area during the Spring or Fall months. 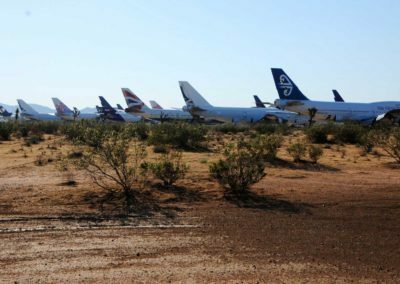 Airplane graveyards are mysterious and captivating as the historical relics from decades of aviation innovation decorate the native California desert landscape. It’s hard to fathom that an airplane once costing hundreds of millions and being a marvel of technology can be left behind to rust under the sun. 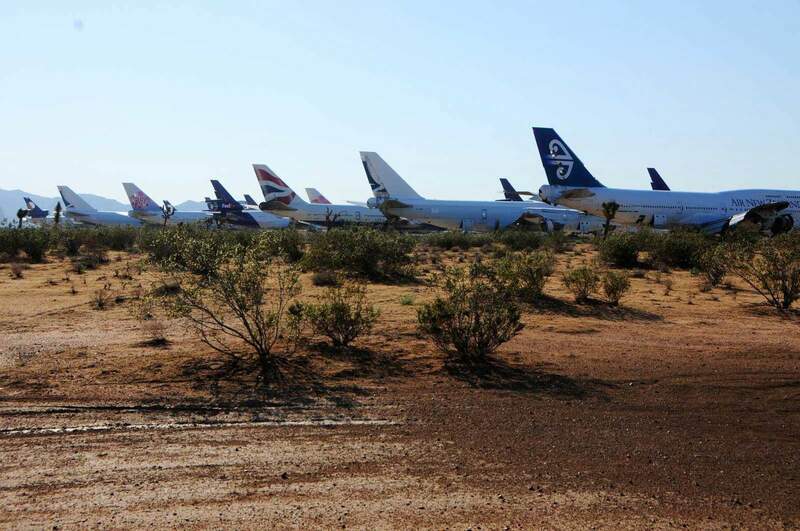 Nevertheless, the abandoned planes provide a scenic backdrop to the desert area. The roads are not very well identified and require a vehicle with good road clearance. 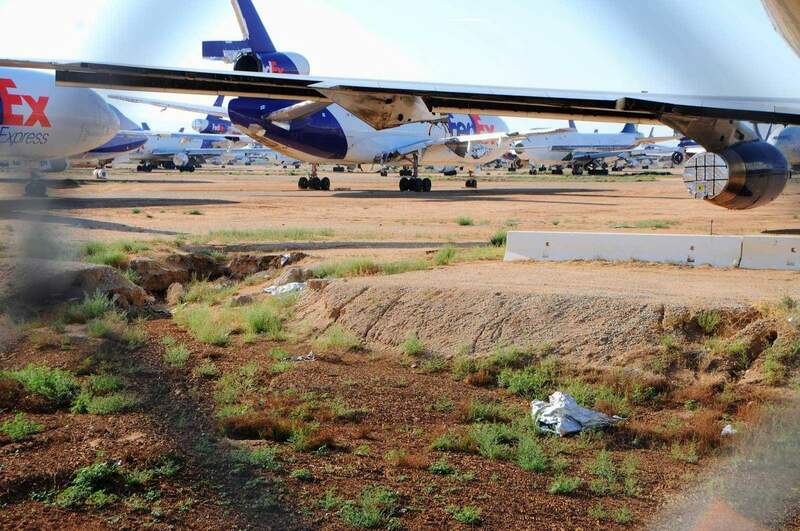 You will also need to pay attention to the area and make sure to only stay within the permitted areas. Pay close attention to signs. Be safe, have fun and #gohikeit! 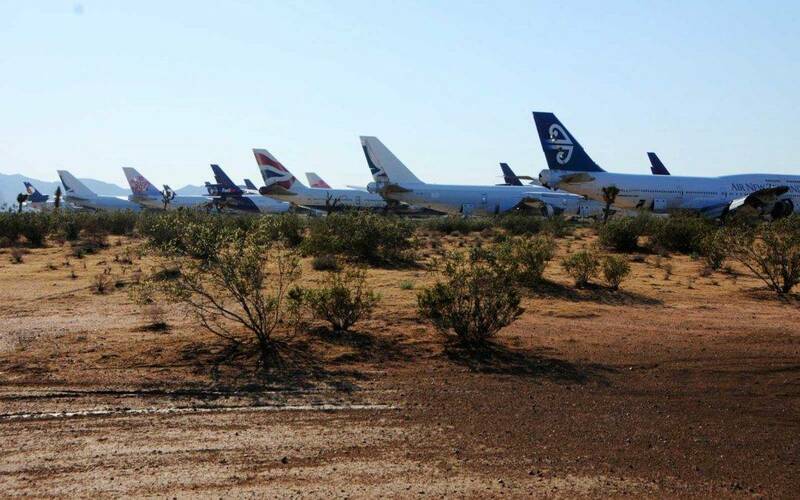 Have you visited an Airplane Graveyard or hiked around one? Leave a comment and share!